Dir: Deborah Haywood. UK 2017, 85 mins. 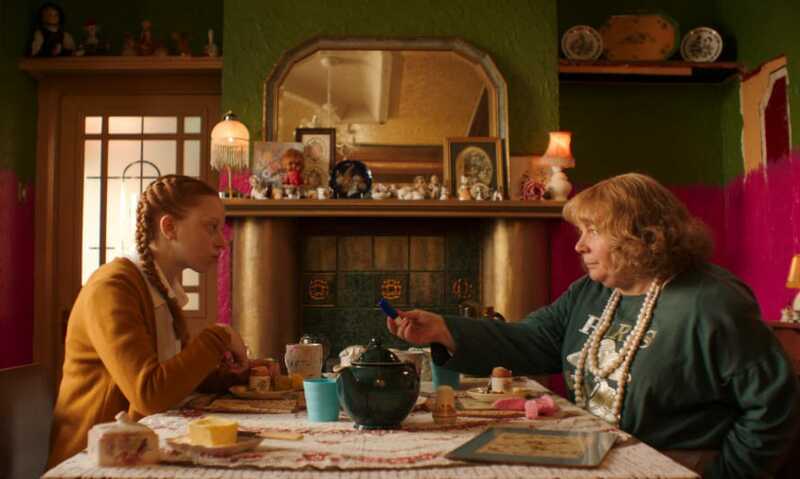 I am a sucker for quirky coming-of-age films, and the Venice Critics’ Week opener Pin Cushion is right up my street. Writer Director Deborah Haywood will be joining us at The Electric Cinema and there will be a Q&A after the screening. Also, we are told there will be a few of the other stars from the film in attendance. Can't wait! Book your tickets to this screenign and special Q&A here. I am really looking forward to bringing my art-mad 5 year old daughter to Patrick Studio on Saturday 21 April for Colour Box. There will be lots of crafty activities and film workshops, and then we'll be casting out votes on the films showing as part of 'No Place Like Home' - a selection of short films for ages 4+. For more info on the nine charming films featuring in this kid-friendly programme and to book your tickets, click here. Agnès Varda is a film legend, and prolific documentary maker. This latest work, Faces Places follows Varda and fellow artist JR as they travel around rural France, creating portraits of the people they meet. Warm, enlightening, surprising. Everything a great documentary should be. Fancy it? Bag your tickets to this charmer here.